Availability: This product is discontinued and no longer available for purchase. For alternatives browse our Longridge department. 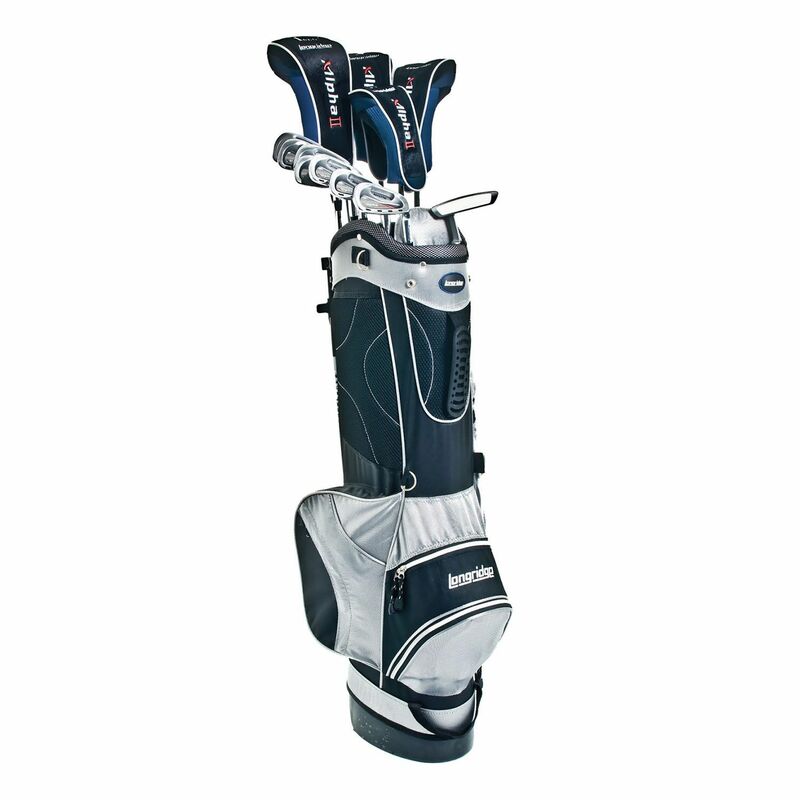 The Longridge Alpha II mens package graphite is a complete set for golf beginners. It includes 3 oversize Titanium matrix fairway woods, 1 Titanium matrix hybrid, 7 irons and 1 two ball putter. The irons and woods are all graphite to ensure less vibration travelling through the arms and to avoid strain to the hands. Additionally, graphite shafts deliver great power and distance. All the clubs are supplied in a lightweight stand bag and with four woods and hybrid head covers. for submitting product review about Longridge Alpha II Mens Package Graphite.